The hills around Socorro, New Mexico - the location for one of the most famous UFO trace cases on record. At approximately 5-45p.m. on 24th April 1964, Lonnie Zamora, a police patrol officer, was on duty in the "Socorro Two" police cruiser when he gave chase to a speeding black Chevrolet. The pursuit continued to the south of Socorro when, suddenly, Zamora heard a brief roar and saw a "flame" in the sky on the right hand side of his vehicle. Zamora discontinued the chase as he became concerned that the flame, blue and orange in colour but without smoke, was descending in the location of a shack containing dynamite - in fact, he thought there was a possibility that the shack had blown up. Patrolman Lonnie Zamora [ left ] experienced a close encounter which proved to be one of the best authenticated cases on record. Zamora drove off the highway and after three attempts he managed to negotiate a dirt road that led over a ridge and past the vicinity of the dynamite shack. As he slowly drove down the other side of the ridge he realised that the noise had abated and the flame had disappeared. Suddenly Zamora noticed "a shiny type object" to the south, between 100yd. and 200yd. from the road. Then he saw two humanoid figures in white "coveralls" close to the object - one of the beings looked str aight at Zamora, who, because he was wearing clip-on sunglasses over his prescription lenses, could not distinguish any features or headgear at that distance. Somewhat perplexed he radioed Sgt. Sam Chavez in Socorro. The object was described by Zamora as oval in shape with no windows or doors and standing on girder-like legs; he approached to within 100 ft. of the objected and noted red insignia on its side - about 2.5ft. in width. Then the roar struck up again, initially at low frequency but very quickly it rose in frequency and became "very loud". As the noise increased the object also emitted flame and greatly disturbed nearby dust - the "beings" he had observed previously were now nowhere to be seen. Fearful that the "craft" might explode, Zamora ran back behind his car to the top of the ridge where he noticed that the roaring had stopped and he turned to see the "UFO going away from me in a south-west direction… approximately 15ft. above the ground. It cleared the dynamite shack by about 3ft." By this time the UFO was travelling very quickly and, no longer emitting either noise or flame, it "just cleared" a mountain in the distance before disappearing. Whilst Zamora waited for Sergeant Chavez to arrive he decided to make a sketch of the UFO and the Sergeant, himself, was very soon on the scene of the incident - however, had he not taken a wrong turning he would have arrived in time to actually see the craft. Chavez asked: "What have you seen Lonnie? You look like you have seen the devil!" "Maybe I have", replied Zamora. Zamora, Sgt. Chavez, Deputy Sheriff James Lucky and F.B.I. Agent Arthur Byrnes Jr. (who happened to be in the area investigating another case) investigated the spot where the UFO had landed, in places the brush was still burning. They discovered four burn marks and four V-shaped depressions, approximately 2 inches deep and 18 inches long in an asymmetrical diamond pattern around the burns. These depressions corresponded to the "legs" Zamora had seen on the UFO. An engineer's analysis (prepared by W.T. Powers) later stated that each would have been bearing a load of at least one ton to press so deeply into the dense desert earth. 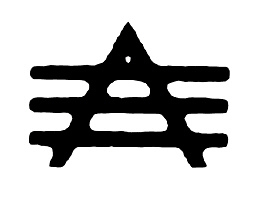 Also, five smaller marks were found nearby - these were thought to quite possibly be "footprints". 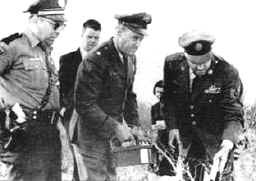 Left to right) Lonnie Zamora accompanied by FBI Agent Byrnes, Major H. Mitchell (AFMDC), Coral Lorenza and Sergeant Castle (military police) - investigating the site of the UFO landing. Later that day, when interviewed by Arthur Byrnes, the F.B.I. Agent, Zamora made the following remarks in his statement: "It looked like a car turned upside down… standing on its radiator or trunk. Next to the object were two people in white coveralls…. One of these persons seemed to turn and look straight at my car and seemed startled, seemed to jump quickly somewhat. They seemed normal in shape but possibly they were small adults or large kids". On 28th April, Dr. J. Allen Hynek arrived in Socorro in order to investigate the incident on behalf of Project Blue Book (USAF agency investigating UFOs - covered in detail by this site) and, at his instigation, the USAF checked to see of any aerospace company had been privately developing a craft as described by Zamora - with no success. However, reports made by a car driver, who told the manager of a gas station on Highway 85 (now Interstate 25) that he had observed some type of aircraft in trouble and landing with a just south of Socorro - with a police car approaching it, were not followed up. Project Blue Book usually ruled out UFO sightings with only one witness but because of Zamora's plausibility and the intensive investigation, the Socorro incident was officially described as being "unexplained as any known device or phenomenon". Dr. Hynek admitted that he was more puzzled after completing the investigation than when he arrived in Socorro, commenting: "Maybe there is a simple, natural explanation for the Socorro incident, but having made a complete study of the events - I do not think so". At 3-00a.m. on the 26th April 1964, Orlando Gallego saw a UFO, identical to the one reported by Zamora, land at La Madera . New Mexico. Gallego and his family denied all knowledge of the Socorro event and investigating officers found evidence of burning around the alleged landing site - and four inexplicable depressions in the ground! 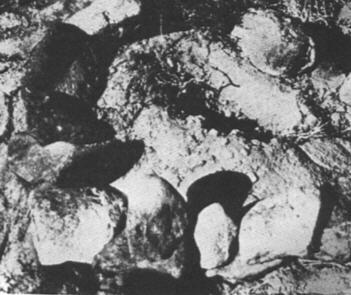 One of the four impressions left by the UFO which landed at Socorro - an engineer stated that a pressure of 1 ton would have been needed to make the depression in the hard desert ground. Footpad impression in the soil - believed to have been left by the craft's landing gear. Artistic depiction of the Socorro incident based on Zamora's description and sketch. A previously classified CIA document reveals the opinions of Hector Quintanilla, former head of Project Blue Book. Egg-Shaped UFO observed in Texas (Arlington). "I just saw the weirdest thing I have seen since the big meteor a month ago. My friend and I witnessed an object flying across the sky unlike any aircraft I have ever seen. It was a dark oblong shape. The large part looked like a shadow almost. It was colourless but slightly darker than the sky. It had a greenish yellow glowing object suspended just beneath the large object. I thought at first that it might be a balloon and glow stick, but the object was travelling against the wind at a steady rapid pace. It made no sound. It looked to be pretty large and traveled west at least 1000 feet. We watched it for a good while, until it disappeared in the distance. It was freaky, but very cool”. On Monday night, November 2, 2009, 'Lonnie' Zamora, likely North America's most highly respected witness to something that the U.S. Air Force's chief scientific investigator of UFOs eventually admitted was, to use his own term, a "close encounter of the third kind" died of what a Socorro Police spokesman described as a heart attack. The April 24, 1964 (5:50 - ~ 5:53 PM), Socorro, New Mexico, case of a well-documented, multi-witness, UFO landing is so well-known that it need not be described in any great detail here. Instead, our focus is upon the quality and character of Lonnie Zamora, at the time a Socorro policeman, who reluctantly became the 'central' and closest witness to the landing of, occupants of, take-off and high-speed departure of, an ~ 18' UFO shaped like an elongated egg. After the encounter, Zamora's ability as an accurate and careful observer was attested to by the famous meteor tracker, Dr. Lincoln la Paz, because of the extraordinary accuracy of meteor-trail coordinate data Zamora had earlier provided him, in helping search for a fallen meteorite. Before April 24, 1964, policeman Zamora would have laughed at the suggestion that UFOs are anything about which a sensible person should be concerned. When he had seen a brilliant 'flame' in the sky and, then, the whitish, elongated object with two figures no larger than "ten-year-old boys" in what looked like white coveralls beside it, Zamore didn't think "Wow! 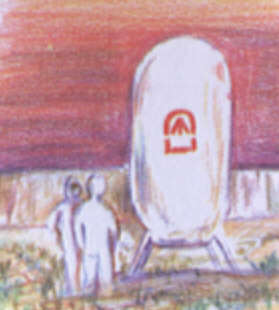 A UFO with humanoids beside it!". Absolutely not. He thought, at first sight of the 'flame', of a nearby dynamite shack blowing up, and upon first sight of the landed UFO and occupants, that a car or van might have rolled or tumbled down into the ravine bottom, and that the two well-under-five-feet-tall bipedal figures in white might be children, perhaps escaped from what he had taken to be a car in the ravine bottom. Such was the character of the policeman, concern for safety and certainly not about turning anything he saw into a UFO and occupants. Until less that two minutes later, UFOs were absolutely not a part of Lonnie Zamora's 'world view'. Well, most readers know the rest of the story, but in remembering Lonnie Zamora, let's have a brief look into a personal moment of his family life, as a window into understanding the man. After years of research into the case and publication, in 1976, of my 211-page book thoroughly documenting it, five more years had passed when I received a totally unsolicited letter in 1981. It was from Lonnie Zamora's daughter! She wrote the following: "I just read your book, SOCORRO 'SAUCER' IN A PENTAGON PANTRY. For once I felt like I was finally finding out the truth about what my dad experienced on April 24, 1964. As you well know, my dad is not a very verbal man, and the only things my brother and I ever knew about my dad's sighting was what we read in papers or books, and you know how distorted those stories were. I was five years old at the time of the sighting. I'm now 23. It was seventeen long years ago." She continued by writing, "My dad, as I mentioned, has never been willing to discuss the sighting with me. Finally a few days ago he let me have your book and a box full of letters, articles, and other books that he had saved. (All letters unanswered.)" Zamora's daughter concluded that letter by saying, "Reason for my letter? I'd like to talk with you...", and she gave me her phone number in a location that was not Socorro, so she said that if I'd be more comfortable that she was who she said, it would be O.K. to send a letter to her father's address in Socorro, and that he would forward it to her. I trusted the young lady and telephoned her. She was delighted, saying, "...After all those years, dad handed me your book and said it would tell me everything anyone could know about the sighting. Dad said, emphatically, you're the only writer who told the story, everything, and with total accuracy. He wanted me to know that, unlike all other accounts he had read, your book had everything right...So what I want to know is whether you've learned anything more about the case since finishing your book." Of course, I told Lonnie's daughter what I had learned since the book, but at that time, it wasn't very much. After the nice conversation with her, I began to ask myself what it was in Zamora's character that might make him hesitant to personally tell the details of his sighting to his own children. As things had happened, sometime after 7:00 P.M. on the evening after Zamora's terrifying encounter, Federal Bureau of Investigations agent J. Arthur Byrnes, Jr., had interrogated the witness. Upon hearing Zamora tell in no uncertain terms that he had seen the two diminutive, white-clad, bipedal beings standing right beside the NW landing leg of the craft and with their head tops coming to only "well below" (Zamora's words) the 5' 2" creosote bust's uppermost part, the F.B.I. agent firmly told Zamora (The words are reported here exactly as Zamore later confessed them to me. ), "It will be better if you don't publicly mention seeing the two small figures in white. No one will believe you anyhow." Now please note the following fact carefully: ZAMORA AGREED NOT TO TELL about the "as though in white coveralls", diminutive beings he had seen by the creosote bush, adjacent to the NW landing strut. Zamora had served in the U.S. army, and respecting government authority, had taken his promise to the F.B.I. agent as an oath to officialdom. Resultantly, until later when Zamora got suspicious that the government was trying to hide something they didn't want the public to learn about, when asked about his initial description of the beings, would simply say things like, "Well, I did see something like a couple of pairs of white coveralls, kinda' like hanging on a clothesline, you know..." He never explained how one of the two pair of coveralls, upon seeing his police car top the mesa, had, "...jumped, kinda' like startled, you know..." Personally, I think the white coveralls hanging on a clothesline comment was really just a sarcastic quip, because of the non-disclosure promise agent Byrnes had extracted from him. Whatever its origin, Hynek referred to it in his media conference on April 29, in a continuing government attempt to obfuscate the sighting of very much alive humanoids occupying those 'coveralls'. Secondly, about the red shape Zamora saw on the middle-side of the ellipsoid-shaped craft: ZAMORA HAD, in his own mind, TAKEN ANOTHER OATH TO THE GOVERNMENT HE LOVED: On that same April 24, 1964, evening, Captain Ord/C, Richard T. Holder, U.S. Army, 095052, Up-Range Commander at White Sand's Stallion Site, had told the witness, as Zamora described to me, after much coaxing, on April 29, 1964, "If I were you, I wouldn't describe the symbol you saw on the side of the vehicle to anyone except official investigators." Well, ZAMORA AGREED. Then, I have reasons to believe, Holder drew the now familiar vertical arrow with an arc over it and a line under it [A copy of that original, clearly drawn in its first version by Holder -- just compare it to Zamora's copies of that fake symbol -- is in my files.] and then Holder had Zamora sign under it, as though THAT were what he saw. I am now convinced enough to tell anyone -- since Lonnie Zamora is now gone, and there is no risk to embarrass him for participating in the cover-up -- the vertical arrow with an arc over it and the line under it IS NOT WHAT ZAMORA SAW. Lonnie kept that promise to Holder, not to reveal what he actually saw, for the rest of his life. Zamora had agreed with Holder that putting out the fake symbol would conveniently identify any copy-cat hoaxers because they would describe the fake symbol instead of the REAL one. I agree that Zamora made the right choice, in that case, because it surely set a trap for hoaxers and even for hallucinating persons. Every law-enforcement officer who talked to Zamora within minutes to an hour or so after the event, including police dispatcher Mike Martinez, told me unequivocally that what Zamora really saw on the object was, as Martinez quoted Zamora in Spanish, "...un 'V' invertido, con tres líneas debajo," meaning exactly what it says, "an inverted 'V' with three lines beneath it", and not the thing he was drawing and telling others that he saw, after Holder's request. I am very relieved, now that Lonnie has passed on and I don't have to be concerned about publicly embarrassing him, that I now can finally stop equivocating about which shape Zamora did or didn't see on the object. Some persons 'engaged in UFO research' will be annoyed with me for saying the following: I commend Lonnie Zamora, a man of his word, for keeping his promise in not revealing what he actually saw in red on the side of the object. I comment Captain Richard T. Holder for his thoughtfulness in asking Zamora to obfuscate the real appearance of the red thing he saw, so that any copy-cat hoaxes could be nipped in the bud. I also comment Zamora for his patriotism (however ill-conceived some persons might consider it to be) to things he deemed important to do for his country. In turn, I deeply respect Zamora, since he did not want to break his word to Captain Holder, and, thus refused to tell his two children anything, in preference to telling them something that would break his promise(s) to the government., and realizing he could, when they grew up, let them guess the truth for themselves, in his saying that I got everything right in the book. So, what did Zamora do? He, in fact, gave my book to his account-insistent daughter, and told her I was the only writer who got everything right. Surely he had in mind my book's Appendix A, titled, "An Obfuscated Red Insignia? ", which reveals what really happened concerning the red shape on the object, without actually saying for sure that Zamora agreed to an investigations-useful cover-up of the appearance of the real shape on the object, and leaving a final conclusion to the reader, because of wanting to protect Zamora for his, in my opinion, wise decision to comply with holder's explained and very reasonable obfuscation request. In the book's front illustrations of the event, I used the substituted (fake) shape for what Zamora saw, but explained in the appendix that I did it so that persons who have believed the fake symbol would not refuse to read my book, thinking I didn't really know what the symbol was (in their mistaken opinions). So now, Lonnie's 45-year-old secret is out and I have declared my reasons for respecting his decisions to abide what Holder asked him to do. In later years, Zamora became highly suspicious and even disgusted at the USAF's refusal to return New Mexico State Policeman Ted V. Jordan's reportedly irradiated first-after-the-event photos, or even copies of whatever turned out on the film. As Lonnie has said publicly, that made him begin to suspect that the government is unjustifiably hiding something, and that the something might be visitation to earth by beings and a technology that could not have originated here. In closing this eulogy, I should tell you that at least a couple of weeks before Lonnie died last Monday, November 2, 2009, he learned of Anthony Bragalia's irresponsible (because Bragalia did not bother to tell people it was only one man's totally unsubstantiated claim, made in desperation of disbelief in the possibility of visitation from outside this planet) internet headline declaration that the Socorro case had been exposed as a student hoax. Bragalia knew his case is so totally insubstantial that he refused (and still refuses) to debate me on Coast-to-Coast AM, with George Knapp. People have now asked me if I think Bragalia's insistence that Zamora was just a fool for an imaginary student's pyrotechnics and balloon (which would have had to have flown off directly into the wind) being mistaken for something the policeman never believed in to begin with, could have caused him such anger as to induce a fatal heart attack. Perhaps my questioners never got the chance to see, years back, on the TV show Unsolved Mysteries, Zamora's obviously completely -- no stress-on-his-face -- at-ease statement that he didn't care whether anyone believes or disbelieves what he saw and experienced. Now, after due reflection on that question, I must declare: ABSOLUTELY NOT. Zamora could not have personally cared what a false-rumor monger trumpets as though the monger were a hero. He was the most objective, unwilling to embellish, witness I've ever interviewed, among hundreds, across my more than 56 years of actively researching UFOs. Memory of Lonnie Zamora will endure in history as a witness so credible that the USAF officially had to take its hat off to him and declare what he saw to be a truly unidentified flying (and landing) object. May the beloved Lonnie Zamora rest in peace. That is, if he can ever stop laughing at Bragalian fantasies about his well-substantiated encounter.